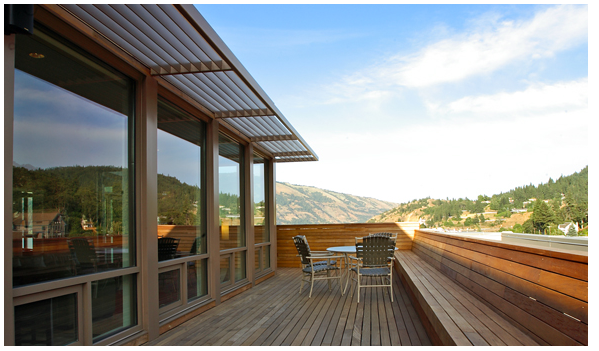 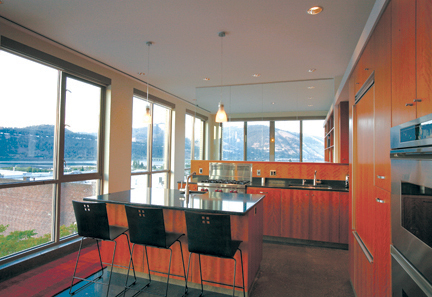 The Penthouse in the Oak Street Condominiums in Hood River, Oregon, incorporates an open plan layout, organized to invite in dramatic views of the Columbia River Gorge and Southern Washington. 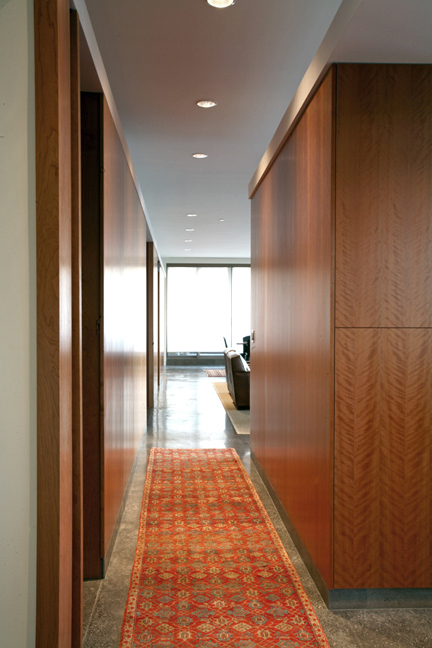 The interior blends warm, wood elements with the cool texture of polished concrete. 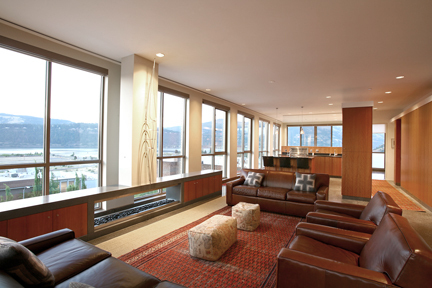 Light permeates the space and fills the main living area as well as the private spaces situated along the south side of the plan.